We Were Liars is a meticulously constructed story, but Lockhart's precise plotting and solid foundation don't show at all. The story is simply a sharp, strong blow to the gut. (Reviewed by Tamara Smith). You're going to want to remember the title. 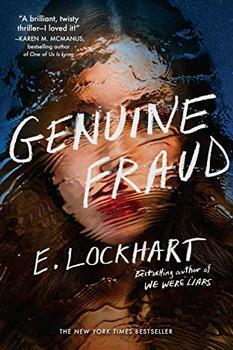 Liars details the summers of a girl who harbors a dark secret, and delivers a satisfying, but shocking twist ending. Sticky lemonades on the roof and marathon Scrabble games to twisty suspense, true love, and good intentions gone horribly wrong--We Were Liars begs to be read in one sitting. Starred Review. Surprising, thrilling, and beautifully executed in spare, precise, and lyrical prose, Lockhart spins a tragic family drama, the roots of which go back generations. And the ending? Shhhh. Not telling. Grades 7-12. Starred Review. Lockhart has created a mystery with an ending most readers won't see coming, one so horrific it will prompt some to return immediately to page one to figure out how they missed it. Starred Review. The ending is a stunner that will haunt readers for a long time to come. Starred Review. Riveting, brutal and beautifully told. Stared Review. A taut psychological mystery marked by an air of uneasy disorientation...The ultimate reveal is shocking both for its tragedy and for the how-could-I-have-not-suspected-that? feeling it leaves us with. But we didn’t, which is Lockhart’s commendable triumph. With a twist ending that is certain to provoke strong reactions from readers, this is a captivating read. Thrilling, beautiful, and blisteringly smart, We Were Liars is utterly unforgettable. A haunting tale about how families live within their own mythologies. Sad, wonderful, and real. I've fallen in love with every E. Lockhart book I've ever read (and I've read them all), but We Were Liars blows them all out of the water. 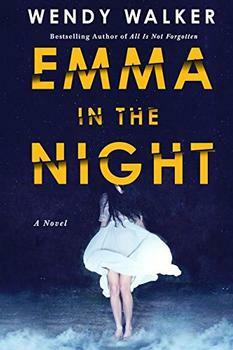 Dark, gripping, heartrending, and terrifyingly smart, this book grabs you from the first page - and will never let go. E. Lockhart's We Were Liars takes place on fictional Beechwood Island. It is just east of Martha's Vineyard, and is reminiscent of it. 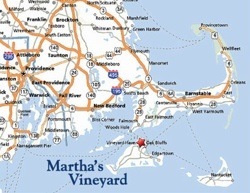 Martha's Vineyard is located just seven miles off of the coast of Cape Cod. It is triangular shaped, and is about nine miles wide and 26 miles long at its farthest points - with over 120 miles of shoreline. One third of Martha's Vineyard is protected land, so quite a large chunk of it is undeveloped. The year-round population is a mere 15,000 which grows to over 100,000 in the summer months.